Mickie's beautiful Judaic designs make great magnets! The acrylic allows the rich colors and fine details to shine through and now the magnets are cut into creative shapes. The full magnet backs are strong and will hold up well over time. 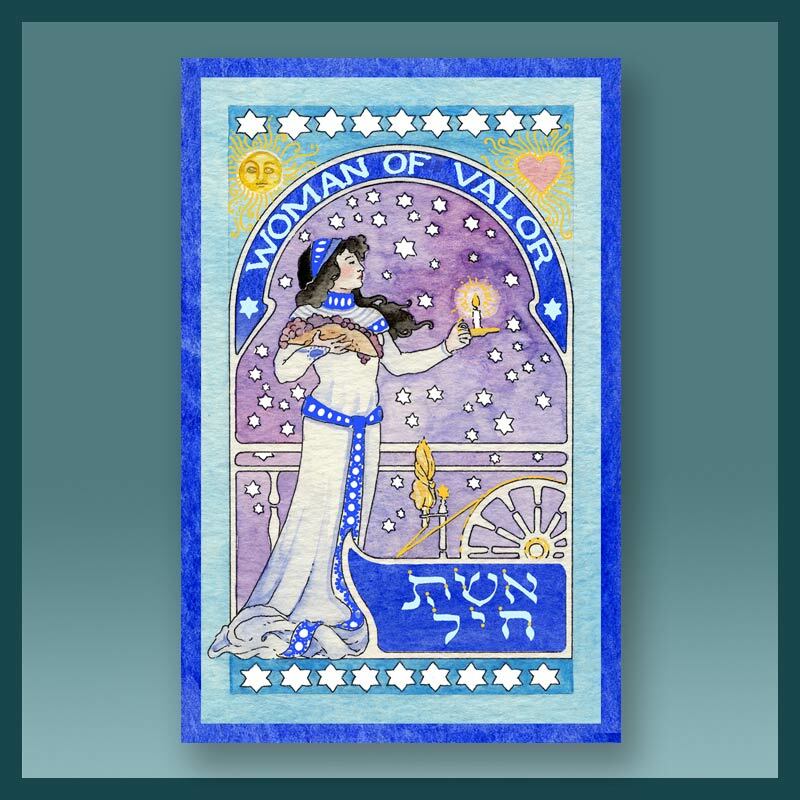 This Woman of Valor magnet makes a great gift for your wife, mom, or any other admired woman.